Our 2013 photo contest is open! Uncategorized » Our 2013 photo contest is open! 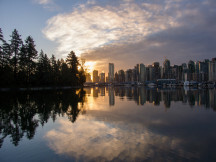 SPES’ first ever photo contest is now underway and we encourage photographers of all skill levels to bring your cameras to Stanley Park between now and April 16 and get snapping. Only images captured during the contest period are eligible. There are some great prizes to be won in four categories (nature, people, places and youth) from local businesses in and around the Park, including the Fairmont Waterfront, the Fairmont Pacific Rim, the Fishhouse in Stanley Park, and the Teahouse in Stanley Park. Go to the contest page to find out more and to use our online submission form.